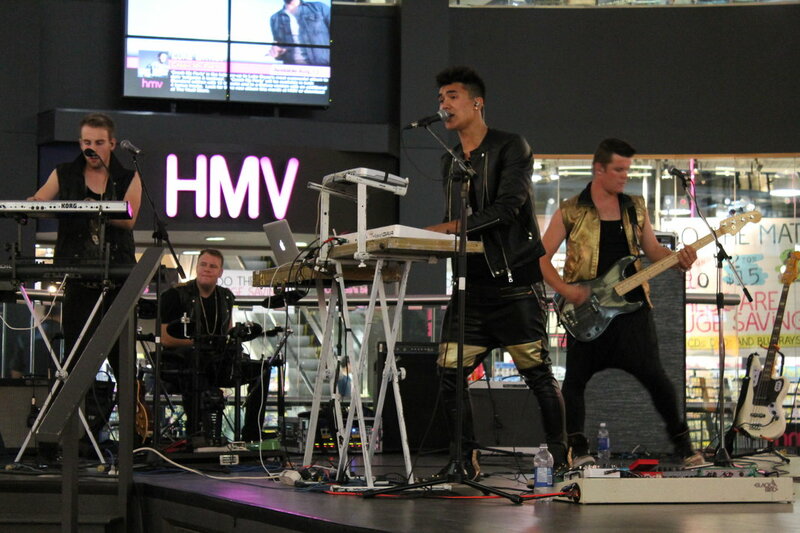 FLTF (formerly known as From Love To Forfeit) brought their signature pop sound to their fans and weekend shoppers at the HMV stage at the West Edmonton Mall last Sunday. I’m not generally a fan of pop music, but FLTF is a creative force and know how to break the stereotypical pop boundaries. FLTF has Garrett Fitzgerald on bass, Brennen Forster on guitar, vocals, and synth, Wesley Fitzgerald pounding the drum kit, and excellent lead vocals from Ash Militsala, who also handles synth/keyboard. While FLTF may not yet be a household name, they are making waves in both the local Edmonton music scene and around the globe. The band has completed two international tours, playing dates in Thailand and the Philippines. 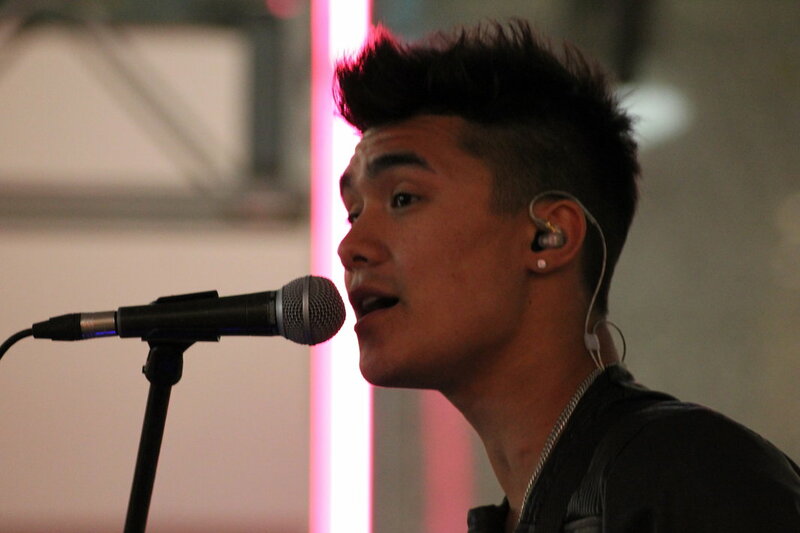 The band ran through a number of tunes from their initial 2012 release Daydreamer. They also offered a number of covers and finished the set with their new single, “Do It Right” which is being offered up on iTunes. Be sure to pick up this track, I’m sure it will soon be airing on every pop radio station in the country. 2 Responses to "FLTF at West Edmonton Mall"
mortgagecrow.com This is one awesome blog.Much thanks again. Fantastic. I’m glad that you’re enjoying it!